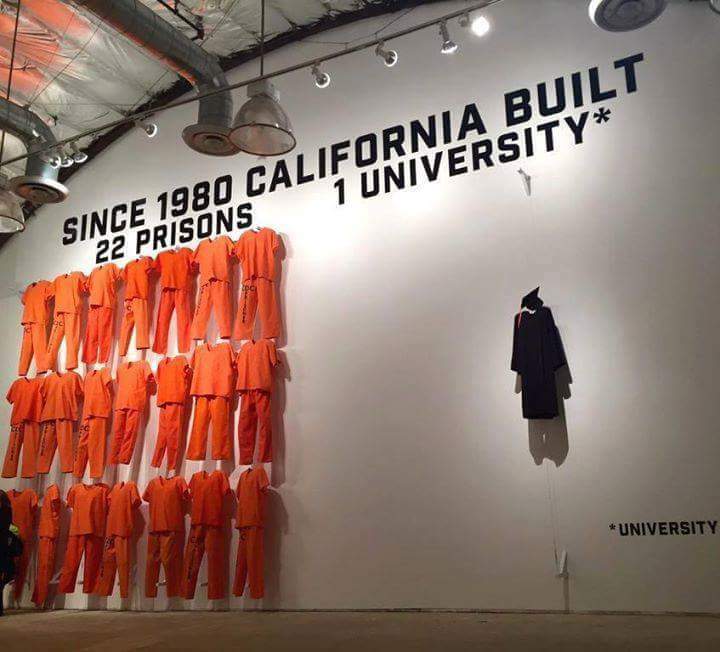 This kinda reminds me of a billboard I saw next to the I10 in Indio – it said something like ‘Cost of 3 years of prison $43,000, cost of 3 years of college, $9,100’. What it doesn’t mention is that for the latter option, this doesn’t include hard work, living expenses, the interest on the $9,100 or the fact that you have to pay for it (or your parents); while the former option comes with three hots and a cot and you don’t have to worry about qualifying for or paying for it. Ah, it posted before I’d finished: This is not a criticism of your post, or of the sad truth of both, just an observation of the missing information on the billboard. Hmm, very interesting and surprising map – I thought Cali would be one of the highest prisoner/population ratio.